"Maintaining your site is our priority"
Web Hive is a small site maintenance, security and hosting company based in Barrie, ON. We have a different approach to how we do business and we want to know each of our customers by name. We aren’t looking to become the next ‘Big Web Host’ Brand and we don’t want to hire dozens/hundreds/thousands of tech support agents. Our goal is to be the equivalent of your local blacksmith for all of your website needs. 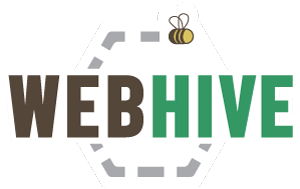 Web Hive aims to be a sustainable business with incredible support, and amazing clients like you! We won't sell your contact information, and we will only email you occasionally with our best blog posts and news you're just dying to know about. We are a local provider serving local businesses you know and like.